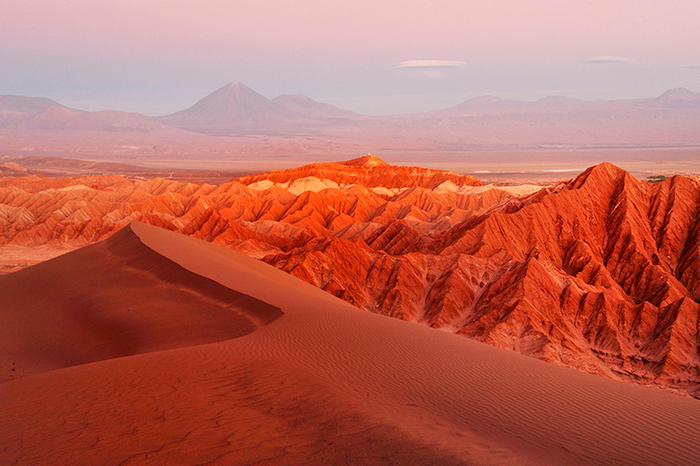 Discover "The art of travel" when you journey through exotic Chile with explora. Every handcrafted explora adventure program is designed to unveil the natural and cultural mysteries of your destination: Patagonia, the southernmost tip of the world; Atacama, Chile's stunning high desert; and Rapa Nui, better known as Easter Island. Your 3- to 8-night program includes round-trip transfers, distinctive lodgings, all meals and open bar, and daily small-group explorations?like horseback rides, petroglyph hikes, village visits, etc. ?with expert bilingual guides. 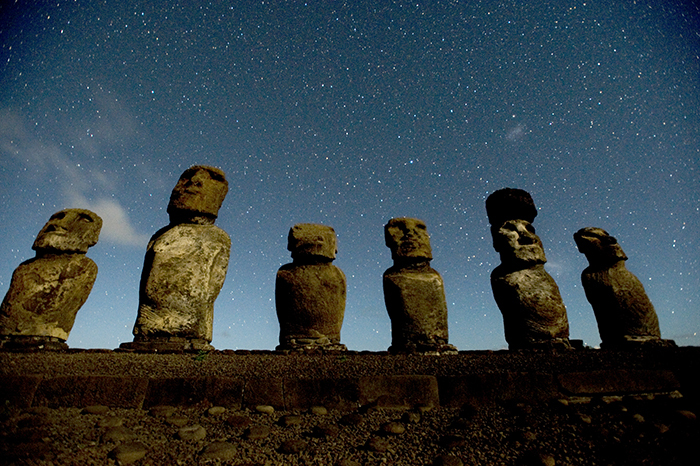 Take advantage of two ways to save with explora when you visit Chile/Easter Island in 2014-plus get an exclusive member-only perk! Solo travelers can enjoy the same rates during low season as those traveling double occupancy. That means solo travelers save from 25% to 35% when they travel by Oct-15-14! Receive a complimentary night in the Chilean capital of Santiago before or after your explora stay, through Sep-30-14! Choose from hotels in four Santiago neighborhoods, each with its own personality. Hideaways member-only perk: Get a $100 credit/room for the hotel gift shop or toward a massage with all new bookings at any explora lodge through Nov-1-14, for travel through May-31-15. Remember: Book with Hideaways Travel Services for these offers and your member-only extra! Call us toll-free at 800-843-4433, or email ts@hideaways.com. Where You'll Stay: Located in the oasis of San Pedro de Atacama, the Hotel de Larache is a 15-minute walk from the village of San Pedro. Its grounds cover an area of 17 hectares, conserving the site's original layout as well as several buildings from the ancient Atacamen~o community which lived here. Its terraces provide breathtaking views of the surrounding areas, including mountains and volcanoes. In the area surrounding the lodge, we have maintained the ancient pathways and buildings that form a labyrinth inviting exploration. The lodge is designed to maximize natural light and airflow, which, along with the solar panels used to heat the swimming pools, Jacuzzis, and outdoor showers, reduces energy consumption. The lodge has its own water treatment and purification plant so that water can be reused. The Hotel de Larache has four swimming pools, two of which are heated by solar panels. The area is peaceful and is surrounded by vegetation and birds. The area also has two open-air jacuzzis, two saunas, two steam baths, changing rooms, and a self-service bar. The House of Water, or "Turi Puri" (in the Kunza language), is an adobe house built around 90 years ago. It is maintained by explora and functions as a massage room. Here, our guests can enjoy a relaxing massage in a heated room with natural products and/or those typical of the region, such as quinoa and chan~ar seeds. Seventeen hectares (42 acres) of land surround the lodge. Here, we have planted alfalfa and native trees, including chan~ar, algarrobo, and pepper trees, creating a natural wildlife refuge for birds and other species in the area. This land is irrigated using a traditional drip system. What You'll Do: explora Atacama features its own stables as well as guides who specialize in horseback riding. The stables house 25 selectively bred horses trained by a team led by a veterinarian specializing in horses; the horses are raised and trained for riding trips in the Atacama Desert. These trips have been specially designed for the various levels of experience of our guests. The Puritama Thermal Baths are a 45-minute trip by minibus from the lodge. Here, at the foot of a large ravine 3,500 meters (11,483 feet) above sea level, the warm water of the Rio Puritama rises to the surface. Taking advantage of this tributary, we have built eight large, natural pools connected by wooden walkways. The water temperature is 32 C (90 F), and bathing in these pools is a revitalizing experience for both body and spirit, especially after a long trek. explora Atacama has a selection of Cannondale bicycles and helmets and offers a range of explorations with varying degrees of difficulty, so our travelers can explore the plains, dunes, and ravines of the Atacama Desert. Climbing mountains and volcanoes is just one of the many activities offered by explora, including horseback riding, trekking, and cycling. The one-day climbs reach an altitude of more than 4,000 meters (13,123 feet), requiring special preparation including a few days to acclimate. 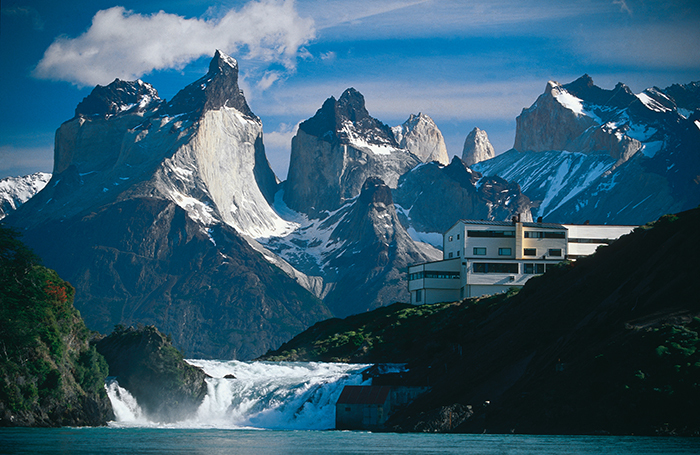 Where You'll Stay: Hotel Salto Chico is the only lodge located at the heart of Torres del Paine National Park, an extraordinary part of the world. It is on the shores of Lago Pehoe, with views of the Paine massif and the Salto Chico waterfall, amid this area's exuberant natural environment. The lodge's architecture makes extensive use of natural light and thermal insulation, which, along with a low-consumption lighting system, enable optimization of energy use for operations. Conceived as a base for explorations, Hotel Salto Chico features every amenity needed to really relax and all the equipment necessary to explore Patagonia. There is a heated, indoor swimming pool just a few steps away from the lodge with views of Lago Pehoe and the Salto Chico waterfall. This area also has a self-service bar, massage room and saunas. The lodge also has four open-air jacuzzis with views of Lago Pehoe. What You'll Do: explora Patagonia has its own stables and specially trained guides for horseback rides. Our stables are home to 25 purebred horses. Our equestrian team is led by a veterinarian who specializes in horse breeds and trains them for traveling in Patagonia. These explorations have been designed for travelers with different levels of experience. At 2 De Enero Ranch, travelers can share conversation with the gauchos and observe some typical ranching activities of the Patagonian countryside. The ranch, which belongs to explora, covers 6,000 hectares (23 square miles) and is located 53 kilometers (33 miles) from the lodge. explora holds the Lago Pehoe concession and has its own dock and catamaran. Our captain has many years of experience navigating in Patagonian waters. There are boat explorations every day, depending on weather conditions. Swarovski binoculars, the latest-generation instruments, are available to our travelers and guides during their explorations. These binoculars allow for very detailed viewing of Patagonia's landscapes as well as its geography, flora, fauna, and, above all, the more than 100 bird species which inhabit Torres del Paine National Park. Overview: Easter Island, or Rapa Nui, is the farthest island from any populated land on the planet. It has been a place full of attraction and mystery ever since its discovery. Located in the middle of the Pacific Ocean, at a distance of about 3,600 kilometers (2,236 miles) from the coast of South America, Rapa Nui is a great volcanic cone that was pushed up from the ocean floor to 500 meters (1,640 feet) above sea level. This tiny triangle of land was the birthplace of a fascinating civilization. Hundreds of moai--giant statues sculpted from rock--play silent witness to this fascinating history. Many of the statues today have been re-erected above their ceremonial platforms, called ahu, but just decades ago the statues lay toppled over and scattered about the island. Many were left half-finished in the rock quarry of the Rano Raraku Volcano. Today visitors can interact with the descendants of this culture, who for generations have maintained their ancestor's habits and kept their traditions alive. Where You'll Stay: The Posada de Mike Rapu is located 8 kilometers (5 miles) from Hanga Roa, in the Te Miro Oone area. Surrounded by eucalyptus trees, the lodge features ample and welcoming spaces with tremendous views of the Pacific Ocean. Posada de Mike Rapu is the first hotel in South America to obtain LEED-NC certification, which is granted by the U.S. Green Building Council (USGBC) to buildings that meet high environmental standards. It has a system of solar collectors and panels for heating the pool and jacuzzi, as well as a water treatment and purification system. The lodge is built mostly of wood and volcanic rock from the island. It was built on land which was not suitable for agriculture, so much of the existing vegetation is intact. The lodge's excellent natural ventilation minimizes the use of air conditioning. Paved areas are limited to those needed as walking areas, and the pavement is semi-permeable, allowing rainwater to filter into the ground and preventing stagnation. There is minimal exterior lighting, to ensure a low impact on the nocturnal ecosystem. To enable travelers to experience local Rapa Nui traditions, we built an Ancestral Sauna or "Hare Mahana Ore" (Warm and Lively House). The house is lined with eucalyptus branches. In the middle is a fireplace with hot rocks, on which water falls to create steam and increase the humidity. Here, travelers can relax and recover their energy after a day of exploration. A few meters from the hotel is an open area with a pool and jacuzzi (heated by solar panels) and a bar. To one side and connected to this area by a walkway is Hare Taheta, where you can enjoy different types of massage, including relaxation, decontracting, and therapeutic, with a variety of essential oils. What You'll Do: Guests can occasionally enjoy traditional dance presentations during their stay at the lodge. But for those travelers who want to attend the show put on by Kari-Kari, a traditional dance and folklore group, explora will coordinate transportation and reservations. These are available at additional cost. Daily excursions include half-day treks to the caves and cliff routes of Ahu Te Peu, Tahai, and Hanga Roa. You'll visit archaeological and cultural sites, some with numerous overturned moai along the way. There's also biking along spectacular coastal roads, traditional deep-sea fishing for tuna and red snapper, and snorkeling in the waters off the coast of Rapa Nui, known for being some of the most transparent in the world, where you'll see a variety of endemic aquatic fauna including corals, mollusks, crustaceans, and tropical fish. explora passport benefit: Hope to visit more than one intriguing explora destination in the same trip? Then take advantage of the explora Passport Program. Every time you combine two or more explora programs--Atacama, Rapa Nui, Patagonia, Travesias, or Special Programs--you will be rewarded with preferential rates. When combining 2 destinations: You will receive a 10% discount. When combining 3 destinations: You will receive a 15% discount. CONDITIONS: Discount only applies when combining more than one explora destination in the same trip with no longer than 30 days since the first check- in. For individual reservations only; confirmation for each destination is subject to availability at the time of reservation.